Jessica Jung who is popularly known as Jessica is the famous American born singer of South Korean heritage who was signed as a member of one of the highest selling South Korean Girl Group, Girl’s Generation when she was barely a teenager. To date, she has managed to establish herself not just as a singer/songwriter, but also as an actress, a model, fashion designer, and businesswoman who has sixty fashion stores located all over the world. There is definitely more to Jessica Jung than meets the eye. Read details about her career and personal life below. Jessica Jung was born in San Francisco on the 18th of April 1989. She and her only sister were practically raised in San-Francisco as kids. When Jessica was just eleven years of age, she and her sister were spotted in a Korean shopping mall by a member of a “South Korean entertainment agency” called SM Entertainment, when the girls where in South Korea on vacation. In the year 2000, after consulting with her parents, Jessica was then signed to the with the company, SM Entertainment, while her sister, Krystal, was later signed as a member of the Korean girl group, F(x). This new contract required Jessica to relocate to South Korea which she did. On getting there, she was enrolled into the “Korea Kent Foreign School” during her teenage years. Jessica Jung also had to spend seven years as an artist in training before she was added to the South Korean girl group called, Girl’s Generation, in 2007. Jessica Jung also sang the Seoul Song with a few of the girls from her girl group (Seohyun, Sooyoung, Sunny, Taeyeon) and some member’s Super Junior including; Leeteuk, Siwon, Ryeowook, Sungmin, Kyuhyun, and Donghae. Having performed both in South Korea and on numerous international platforms, Girl’s Generation later became one of South Korea’s most popular girl groups nationwide and worldwide, as well as one of the best-selling artists in South Korea. In 2010, Jessica Jung tested her acting chops when she was cast in the role of Elle Woods, which happened to be the Korean-language version of Legally Blonde. Two years later she appeared the drama, Wild Romance. She has always been entrepreneurial as well as she decided to launch a fashion brand in 2014 which she named Blanc & Eclare. On the 3rd of June 2014, Jessica and her sister, Krystal premiered their 10 episode reality television show which they titled Jessica & Krystal. This was also the year that saw her leave the group, Girl’s Generation. This was majorly due to the conflict between her own business activities and the group’s schedule. She was asked to leave the group, she did so and in turn, went on to sign a deal for a solo career with Coridel Entertainment in 2016. Due to how beautiful and skillful Jessica is, as well as the romantic songs she sings alongside her girl group, fans have sure been very much curious as to what her relationship status is. Interestingly in the K-pop entertainment world, stars under a particular label are mostly required to keep their dating profiles to themselves. In extreme cases, most of the acts are not expected to have any relationship while still signed as an artist under an entertainment company. This clause becomes void only when their contracts expire. This has basically been the major reason fans don’t know any detail about the private life of their beloved stars. With Jessica, after the termination of her contract, her relationship status was indeed revealed. 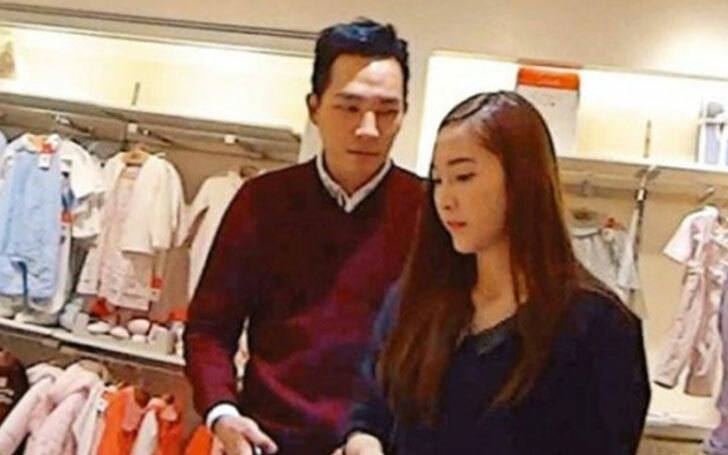 She was dating Tyler Kwon whom she met in 2013 and the pair are rumored to be planning a wedding sooner than later. One thing we know is that marriage has been on Jessica’s mind for a while seeing that most of her friends have already gotten married and started a family. We sure will be looking out for the official announcement of a wedding date. When it comes to the K-pop music, especially with its female stars, beauty is of utmost importance as well as having a near-perfect body structure. This has further pushed entertainment companies in K-pop to arrange for their singers to get various types of surgery from facials to weight maintenance. Nevertheless, when it comes to features like height, Jessica stand at an average height of 5 feet 4 inches (1.63 m) which is an okay height for a lady of immense beauty and talent.